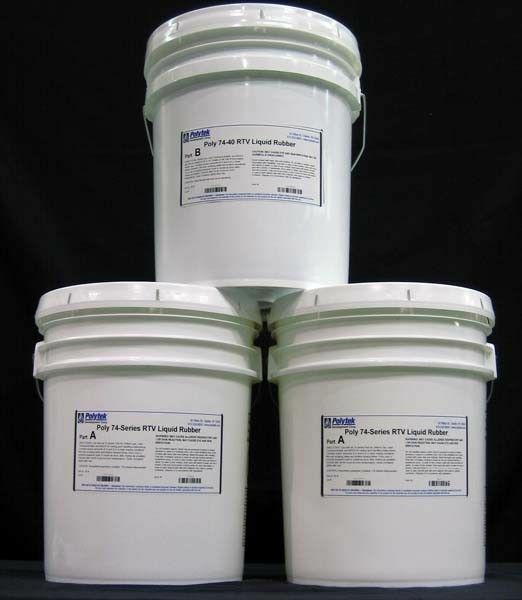 Poly 74-40 is a 2A:1B mix, A40 hardness, liquid polyurethane rubber that can be demolded in ~16 hours. It is a firmer version of Poly 74-30, our most versatile rubber. It is often used to make molds for dimensionally stable plaster castings, poured blanket molds used for casting Glass Fiber Reinforced Cement (GFRC), and for casting plaster molds and dyes for hobby ceramic applications. Poly 74-40 molds can also be used for casting wax and limited resins (polyurethane, epoxy, polyester resin – with proper release agents). 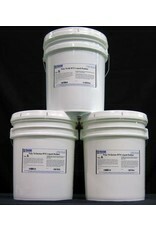 This rubber can be poured as supplied or brushed-on by mixing in Poly Fiber II thickener or Fumed Silica.